We are excited to add an all Natural Organic Turmeric to our already amazing line up. 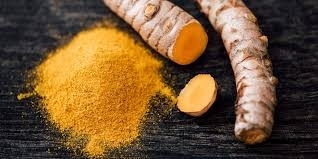 An icon herb like Turmeric cannot be reinvented, it can only be challenged. The challenge was to source out a 100% Certified Organic Turmeric with the same high quality our clients have become a custom to. Our amazing team not only meet, but exceeded this challenge. Our 100% Oragnic Turmeric is sure to exceed your every exceptions from the moment you place your order to the second your package arrives.